1. 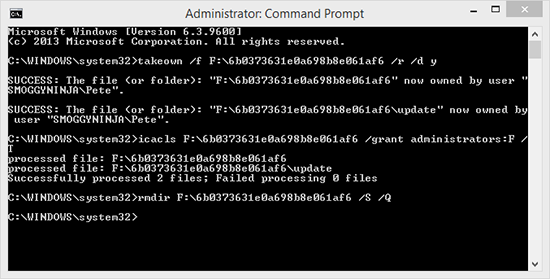 Open a command window (Note: Ensure you select ‘Run As Administrator‘). 2. Issue the following commands, replace the ‘Path’ to the foldername, with your own.